Her daughter wanted a puppy for her 8th birthday. Not just any puppy, but a puppy that wouldn´t grow too big. She would take care of it. 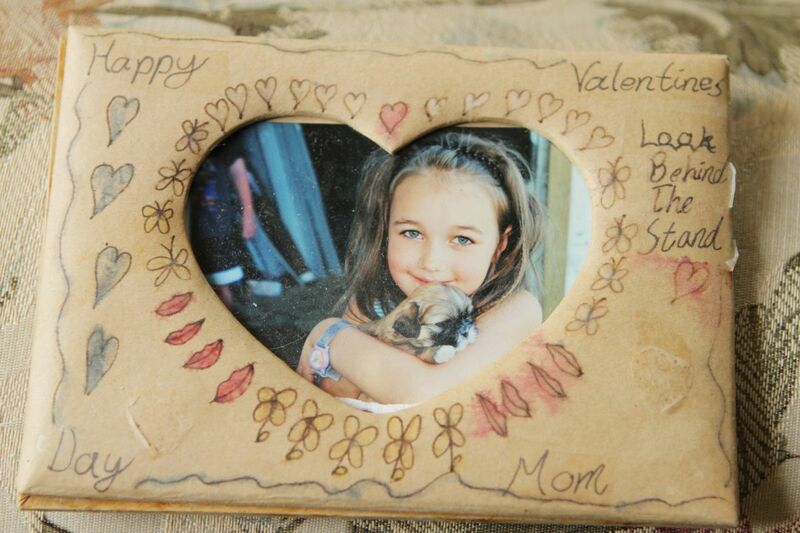 This was going to be her dog, just like her mother had her own dog, Ruey. So the hunt for a small breed dog was undertaken. Not an easy task, as it seemed every available small breed puppy was snapped up as soon as the litter was advertised. It was the little girl´s grandmother who found a breeder with a litter of Shih Tzu puppies before an advertisement was posted. While celebrating her birthday with relatives in the United Kingdom, the little girl learned she would get a puppy upon returning home to the Maritimes. Soon Elizabeth May and her daughter were driving out to Berwick, Nova Scotia so Victoria-Cate could select her puppy from the litter. Didn´t matter which puppy she selected, Victoria-Cate had decided Spunky was going to be the name, as a tribute to her favorite Beanie Baby character. Elizabeth May had decided, before bringing the pup home, to implement some rules to ensure Spunky´s primary bond would develop with Victoria-Cate. And, as we all know, great plans sometimes go awry. 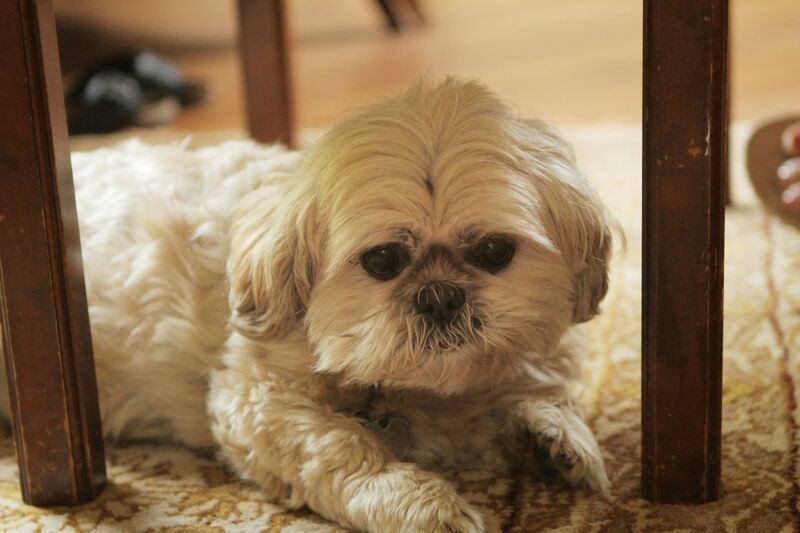 Much to May´s sorrow, Ruey, the dog she had found abandoned at the side of a road 16 years before, died between visiting the Shih Tzu litter and the time they brought Spunky home. As a result Spunky became the centre of their attention and over the years has evolved into May´s dog, particularly now that Victoria-Cate is away at university. May did try taking Spunky to Ottawa, but found it difficult. Spunky is just a little too large to travel inside the passenger compartment of aircraft. Animals are not allowed inside the Parliament buildings, including MP´s offices. Although May´s Ottawa apartment building does allow dogs, because of her 14 - 15 hour workdays, May had to resort to the assistance of office interns to help her care for Spunky. It is for these reasons Spunky now spends all her time in B.C. When May is in Ottawa (which is 50% of the time), Spunky stays with close friends in Sidney who own two rottweilers. May and friends jokingly refer to them as “Spunky and the Rottie Girls”, almost elevating them to rock band status. And rock they do. Spunky is right there, swimming out into the ocean through the waves to retrieve sticks just like the rotties. May is amazed because Spunky never did this in her pre-rottie days while living in the Maritimes. Spunky really enjoys her time with the rotties, whom she views as sisters. And May has huge peace of mind knowing Spunky is happy while she is in Ottawa. 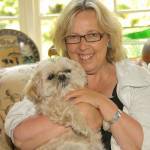 Elizabeth May has always lived with animals. When she was 18, her family moved from Connecticut to Cape Breton with 3 dogs, 2 cats, 2 ponies and 1 very old sheep. All were considered family pets, which didn´t help Agriculture Canada. Sheep are classified as livestock according to government regulations so a veterinarian was required to drive from Halifax to inspect the sheep every 6 months at great expense to the Canadian taxpayer. Neither he, nor the May family, thought it was a worthwhile exercise. 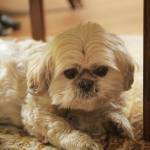 May cannot envision her life without a dog because they “really enrich your life”. She views pets as part of the family. Although she enjoys cats, their aloof nature doesn´t resonate with the same sense of companionship as a dog. “Cats are hit and miss with me. Dogs are very personable, they are empathetic, and they are interested in what the family thinks. They pick up on your moods.” She really misses having a dog in Ottawa. She doesn´t know how she will manage when Spunky passes on, given her current hectic, cross-country schedule. She knows she will look for a rescue, a small dog that can travel the airlines with her. But she worries how she would manage and be fair to the animal. For many, there is a belief that a person´s relationship to their pet is a good reflection about the character of the owner. 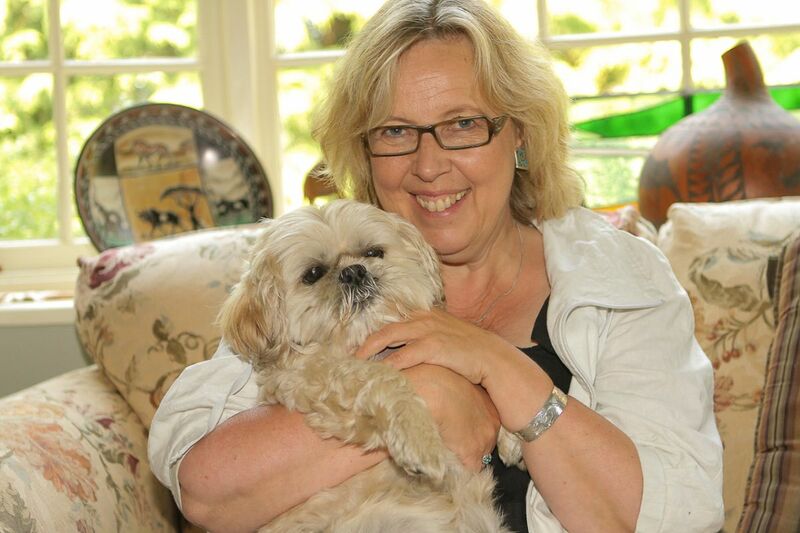 For May ”people can let you down - even your friends let you down - but a dog has never got an agenda.” In the rough and tumble world of politics, no doubt Elizabeth May is grateful Spunky provides unwavering support and love. Feelings she returns.